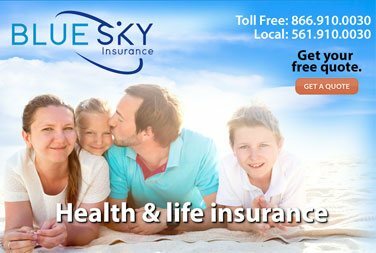 Blue Sky Insurance agency provides Florida residents with condominium insurance policies that adequately protect your assets. Florida condominium insurance differs from typical Florida home insurance. Most condo associations tackle the responsibility for insuring exterior building walls and common areas in the complex, as well as insuring for property damage and liability protection for accidents occurring in shared areas such as stairwells or walkways. But you are not covered within the the walls of the condominium structure. Typical Florida condominium insurance covers the condominium's contents such as your personal property, offers personal liability protection and covers most of the interior structures of the condo. When you dwelling becomes inhabitable and you need living arrangements. Protects from personal injury lawsuits and injury liabilities. 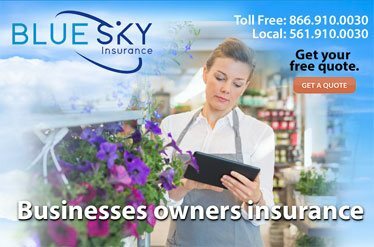 Provides medical payments for personal injury on your property. Every association’s insurance policy is different regarding what each unit owner is responsible for, so it is important to know your homeowners association policy and condominium by-laws (CCNRs) attentively. 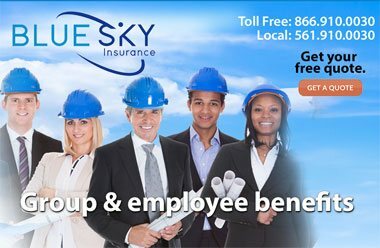 If you have any questions Blue Sky Insurance® would be happy to review your current homeowner's association policy and determine what type of condominium insurance policy you need to provide adequate protection for your assets. We will present several quality policy options for you with the lowest rates we can work out for you. 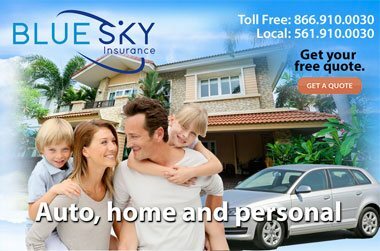 You can also go to our online insurance quotes and get instant rate quotes for your condo insurance policies.